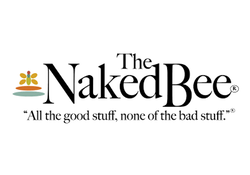 Naked Bee body lotions, washes and shampoos are loved as much for their light citrus scents as for the purity of the ingredients. All of the good stuff, none of the bad goes into their body care line. All products are; Paraben-Free, No propylene glycol or mineral oil, No dyes or pigment, No lauryl or laureth sulfate, Absolutely NO animal testing… ever.